On Monday 15 April 2013, a Turkish court convicted the country's most renowned virtuoso pianist and composer Fazil Say (43) of blasphemy and insulting religious values over a series of comments he made on Twitter last year. In one "offensive tweet" Say quoted a verse from a poem by the 11th-century Persian poet Omar Khayyám: "You say rivers of wine flow in heaven, is heaven a tavern to you? You say two huris [companions] await each believer there, is heaven a brothel to you?" Say, a strong believer in minority rights and separation of mosque/church and State routinely expressed contempt for pious hypocrisy. The court sentenced Say to 10 months in jail -- wholly suspended ("supervised release") -- reduced from 12 months due to good behaviour in court. As Say's lawyer, Meltem Akyol, explains, Say would have to serve the term if he commits a similar offence [i.e. saying something that offends Muslims] within the next five years. Deutsche Welle concludes: "Several years ago, the pianist complained in an interview about deficits in freedom of expression in his country, criticizing what he called the restrictive approach of the conservative government. "Now convicted of blasphemy, Say may be one step closer to a move he has said he is pondering: leaving Turkey behind for Japan." Quote: German parliamentarian Sevim Dagdelen told Deutsche Welle: "Fazil Say is a very sensitive but also very brave human being. He's not easily intimidated and believes strongly in the separation of church [mosque] and state. He's also a passionate advocate of human, civil and minority rights. . . He's a thorn in the side of the AK Party, because he doesn't censor what he says." RT - includes video report by Maria Finoshina. 15 April 2013 Quote: Secular Turks have become increasingly concerned over what they see as the creeping Islamization of society. "Honestly, we were not expecting this ruling, and all I can say is, both legally and for the country, it's a sad decision," Say's lawyer Meltem Akyol told Reuters. Quote: Erdogan and his government have been accused of wanting to dismantle Turkish secularism and of curbing freedom of expression. In a report published at the end of last month, Amnesty International called the lack of freedom of speech in Turkey one of the country's "most entrenched human rights problems". Fazil Say, the world-renowned pianist, has been handed a 10-month suspended jail term for blasphemy over comments he made on Twitter. An Istanbul appellate court has cancelled Fazil Say's jail sentence and ordered a retrial citing irregularities in his initial trial. This leaves me (EK) wondering if Turkey is embarrased by the Fazil Say episode and seeking a way out. NOTE: a reversal of result for Say would only stand as a precedent for Turks with equivalent degrees of international fame. On Saturday 6 April 2013, hundreds of thousands of Islamists from across Bangladesh joined forces in a "long march" to Dhaka demanding that blasphemy laws be enacted and that bloggers who defame Islam be hung. The march was organised by Hefajat-e-Islam (HeI), an offshoot of Jama'at-e-Islami. Hefajat-e-Islam has given the government until 30 April to accept their 13-point demand. Hefajat-e-Islam leader Shah Ahmad Shafi warned: "If the demands are not met, the movement will be getting from tough to tougher. 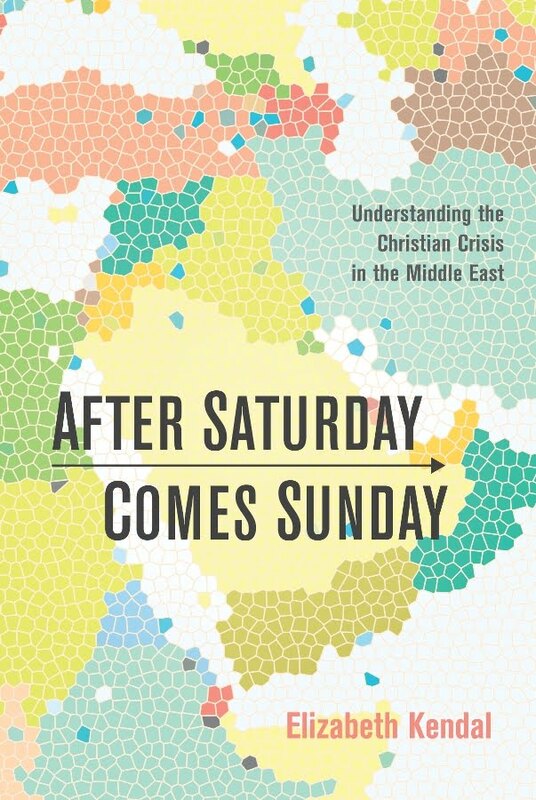 The consequence of the anti-Islamic government will be horrible." He urged devout Muslims to get ready to embrace martyrdom to stop the "anti-Islamic" Shahbag [pro-secular] movement. 2010: The Awami League-led government establishes the International Crimes Tribunal (a domestic court) to try 'Razakars' -- i.e. those accused of collaborating with Pakistan in war crimes during Bangladesh's 1971 war of independence. The court is established to honour an election promise made by the quasi-secular Awami League in the run up to the 2008 elections. January 2013: Trials commence amidst widespread concerns about lack of due process and politicisation. International barrister Toby Cadman elaborates: "The government rejected suggestions from the international community of the necessity for transparency, strict adherence to legal precedent and involvement of unbiased outsiders. The government wrote its own rules. Charges were brought against 11 suspects out of an estimated total of 1,600. Each defendant held leadership roles in the opposition party Jamaat-e-Islami. . . Without Jamaat's votes, BNP [the opposition] is unlikely to regain power. . .
"I do not believe that there can be justice under the current tribunal, which is at best suspect, at worst a tool of a government looking to execute politicians for electoral gain." 5 February 2013: Jama'at-e-Islami party assistant secretary General Abdul Qader Molla (a.k.a. the "Butcher of Mirpur") is sentenced to life imprisonment. Pro-secular forces led by bloggers and student activists protest the court's "leniency". Taking up residency in Dhaka's Shahbag Square, they demand sentences of death by hanging with no right of appeal. Subsequently the protests become known as the Shahbag protests. NOTE: While the protests have been peaceful, the protestors are baying for blood and seem disinterested in due process. With the protests growing, the government -- the Awami League-led 14-party Grand Alliance -- interfers in the legal process, amending the law so that those convicted will not have any right of appeal while the government will have the right to appeal the court's rulings. The government replaces the chief judge and orders the court to consider the will of the people when making its rulings. Islamists accuse the protestors of being anti-Islamic and deserving of death for defaming Islam. They accuse the government of protecting blasphemers. 15 Feb 2013: "Atheist blogger" Ahmed Rajib Haider calls for a boycott of Jama'a-e-Islami affiliated institutions and businesses. Within hours he is dead -- hacked to death. 28 Feb 2013: Delwar Hossain Sayedee, a prominent member of the Jama'at-e-Islami party, is sentenced to death. 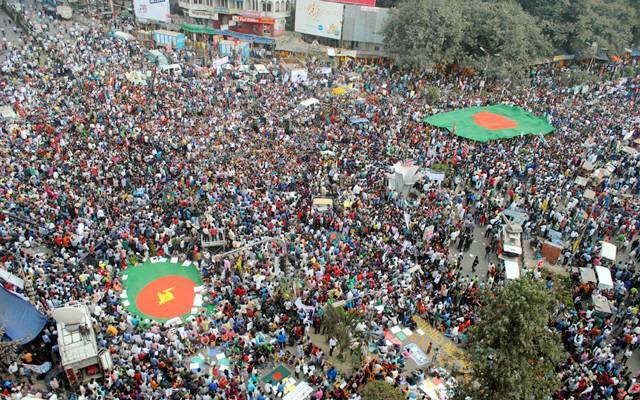 Shahbag Square erupts in jubilation! Islamic riots erupt. Deadly violence escalates -- minorities targeted. Quote: The Jammat and BNP are now playing the minority card very tactfully, with the main goal of teaching Hindus that they are not safe in Bangladesh even [if] Awami league holds power. And that if the Jammat-BNP takes the reins, it would be better for them to leave. ''We will kill all the Malauns (they called the Hindus as Malauns [infidel]) and Bangladesh will be 'Banglastan' [Muslim only] like Pakistan,'' read a post of the website Basserkella, which is run by Jammat and their student organization Shibir. Islamists threaten a national strike, declaring they will march on Dhaka on 6 April if bloggers who defame Islam are not prosecuted. 13 March: To appease Islamists the Awami League-led government betrays its own pro-secular supporters and establishes a panel to investigate and punish bloggers who defame Islam. Mainuddin Khandaker, the senior home ministry official appointed to head the panel declared: "We will try our best to dig out what’s actually happening and find out the people who're making blasphemous comments against Islam and the Prophet." Two popular blogs deemed "blasphemous" are immediately removed as authorities attempt "to ensure religious harmony". 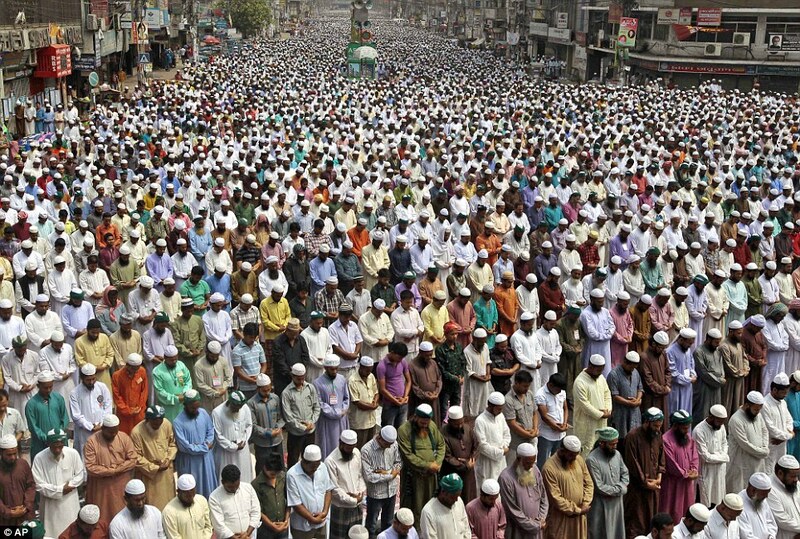 Friday 29 March: Tens of thousands of Islamists fill the streets of Dhaka to pray. They demand the enactment of blasphemy laws; the arrest of bloggers who defame Islam; that laws be passed to punish MPs who defame Islam in the parliament. They also call for the restoration of the caretaker government, vowing to lay siege to the office of Prime Minister Sheikh Hasina if their demands are not met. 31 March: Islamists present panel head Mainuddin Khandaker with a list of around 34 "atheist" bloggers they accuse of spreading defamation and propaganda against Islam, proposing the accused should first be given an opportunity to "repent" of their "sins" before being sued. PM Sheikh Hasina pledges to punish defamation of Islam. 1 April: Bloggers Subrata Adhikary Shuvo (24), Russell Parvez (36), and Mashiur Rahman Biplob (42) are arrested for blogging that the government was being biased toward Islamist views and ideologies when the country is supposed to be secular. After being paraded in handcuffs before the media, the three are remanded to custody for questioning. 3 April: Home Minister M.K. Alamgir confirms the government has a list of seven more "atheist bloggers" who will soon be arrested. 4 April: Popular blogger Asif Mohiuddin (29) -- who was serious injured on 14 January when he was stabbed in an Islamist attack -- is arrested and remanded to custody for three days to enable police to question him. According to a police spokesman: "(Blogger) Asif Mohiuddin has been arrested on charges of hurting religious sentiment through his writings on blogs and Facebook." Clearly the government is doing everything in its means to appease the Islamists. But of course, it will never be enough. Indeed, despite the arrests, Hefajat-e-Islam's "long march" to Dhaka goes ahead with the marchers calling for death penalties. Meanwhile the Shahbag protestors are not giving in -- for they know what they have to lose. 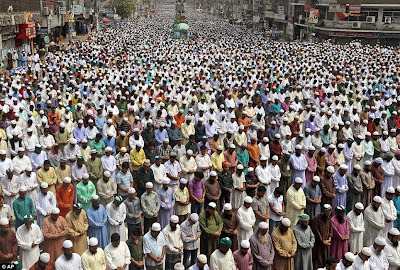 On the evening of 5 April, the anti-Islamists come out in force in response to a call for 24-hour shutdown of Dhaka. Holding torches aloft, they started blocking the streets. 6 April: The Islamists defy the shutdown and proceed on theri "long march", forcing police to work overtime to keep the Islamist and secularist forces separated. Two people were killed however. Times of India reports (7 April): "Two people were killed as Bangladesh's radical religious group Hefajat-e-Islam (HeI) activists clashed with anti-fundamentalist Shahbag protesters in Dhaka on Saturday [6 April]. . . The slain included a ruling Awami League leader, who was killed in Faridpur. An anti-fundamentalist activist was killed in Dhaka." A.W. Khan, who worked in Bangladesh for the International Crisis Group for a year and a half, told Emran Hossain of Huffington Post (3 April 2013) that he was not at all surprised at government's crackdown on bloggers, given its growing willingness to go along with the Islamists' agenda for political gain. "These are uncharted waters for Bangladesh," said Khan. 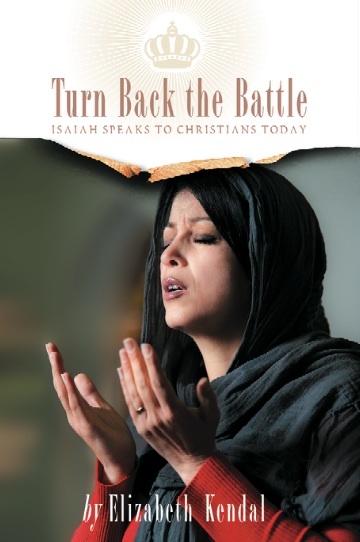 "Principally because this is the first time in its 42 year history that a popular non-political movement and Islamists have so heavily influenced the country's political climate. This has overturned the dominance of the three main players in Bangladeshi politics: the governing Awami League, the main opposition BNP [Bangladesh Nationalist Party] and the military." With Bangladesh polarising and both sides demanding death to the other, the stage is being set for a bloody confrontation. With Islam rising and both sides of politics advancing Islamisation, the future of Bangladesh as a secular state hangs in the balance. Toby Cadman concludes his analysis with this dire warning: "Bangladesh is descending into sectarian conflict every bit as serious as its competitors for attention . . . Failure to find a resolution could see the country descend into civil war."